Pop Culture Christ What Would Jesus Blog? 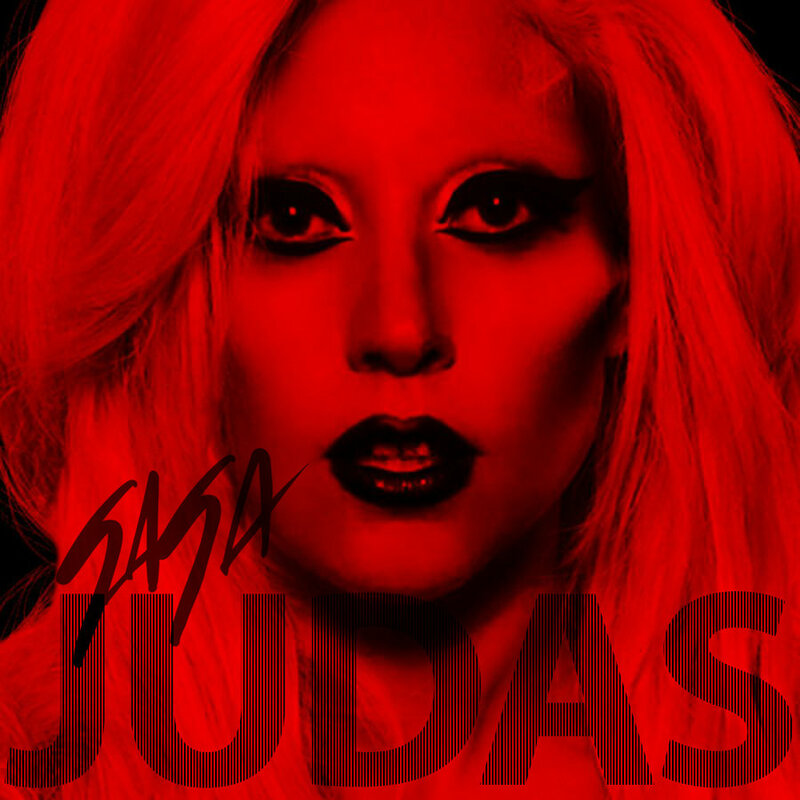 Lady Gaga has a new song out called Judas. On first listen, it appears that there’s more than a passing connection between this song and Judas from the Bible, the guy who betrayed Jesus to the authorities. The film clip furthers these connections with images of Jesus and his crew riding around on motorcycles. But is this song really about Judas from the Bible? Is Lady Gaga giving us her understanding of the message of the Gospels? Or is something else going on here? The short answer is no. Judas is not about Jesus. It’s not a song about the Bible. What Gaga is doing is using Biblical imagery to tell a story. Just like how Bad Romance has references to three Hitchcock films but is not a song about cinema. What is happening here is that Lady Gaga is taking some provocative imagery and using it to generate controversy. I know, that was totally unexpected, wasn’t it? But while this song may not be about the Biblical Judas, there are still things going on in this song that are worth exploring. Let’s take a look at imagery the lyrics invoke. The song begins with Judas. And apparently Lady Gaga is in love with him. In the Bible, Judas is one of Jesus’ twelve disciples. When he is introduced in Mark 10:4, he is describes as “Judas Iscariot, who betrayed him [Jesus].” It’s this idea of betrayal that flows throughout this song. Gaga is in love with a man who betrays her by seeing other women behind her back. To make this image work, Lady Gaga is cast in the role of Jesus. But these roles are not consistent, which demonstrates why this song is just using these Biblical themes and not actually about the Bible. While Gaga is cast in the role of Jesus at the start of the song, by the first verse she’s a different Biblical character. “I’ll wash his feet with my hair if he needs.” Here she now plays the role of Mary, a sinful woman who washes Jesus’ feet with her hair (John 12:3, Luke 7:37-38) with the guy who was Judas now standing for Jesus. But by the end of the verse Lady Gaga is back in the role of Jesus as the boyfriend denies her three times. Which is strange, because it was the apostle Peter who denied Jesus, not Judas (John 18:15-27). This role changing is even more schizophrenic in the film clip, where Gaga goes from prostitute Mary Magdalene, to virgin Mary, to someone who would fit in easily with the Spanish Inquisition. The clip finishes with Lady Gaga lying dead after having stones thrown at her, implying that she is a sinful woman and worthy of death in a scene that is the reverse of John 8:1-11. This inconsistency show that the song is using these images for its own purposes, not to tell a story about the Biblical Judas. Not to deny that the clip presents us with some very striking and cool imagery. The idea of Jesus as the leader of a motorcycle gang does bring across this idea that Jesus is an outsider with a very close bond with his disciples. This Jesus is edgy and cool, riding around with a crown of thorns and a necklace of crucifixes (did anyone else notice that when shot from a distance, Jesus is wearing a real helmet, but in close up/green-screen-background, he’s completely different? Just me?). But he’s not the sinless saviour. He’s just another bad boy for Lady Gaga to paw over. See, this song is not about Jesus, Judas or any other Biblical figure. It’s a song about betrayal and an unhealthy relationship. The imagery skirts around the real issues and in some ways acts as a smoke screen for what is really going on. The woman at the heart of this song is a woman betrayed by the man she loves. He sleeps around on her and she knows it. And she keeps coming back to him. Her self-esteem has been devalued to such an extent that she doesn’t feel she is worthy of a loving relationship. Her “Judas” has manipulated her and abused her emotionally. She is the victim of an abusive and destructive relationship. She wants to love the virtuous “Jesus” but “Judas is the demon [she clings] to”. She is trapped in a relationship where she is not truly loved but has been fooled into thinking that she doesn’t deserve better. She believes that she is beyond repentance and he is more than happy to perpetuate this lie. The truth is that no one is beyond repentance. No one deserves to be trapped in an abusive relationship. No one is unworthy of love. It’s unintentionally fitting that this song is full of Jesus images. Because Jesus is all about unconditional love. After all, he gave his life to save us from sin, even though we were his enemies (Romans 5:10). Jesus is the one who never betrays his people. He never manipulates us or abuses our poor self-esteem. He never traps us or makes us feel unworthy of love. There is always an escape from bad relationships. Don’t let any one try to convince you that you don’t deserve better. Because there is someone who loves you. Someone who is faithful and trustworthy. And his love will never fade. His name is Jesus. Don’t settle for a boyfriend or girlfriend who doesn’t treat you with love, honour and respect. Because you are worth so much more than that. Jesus, the king of the universe, loves you. Never forget that.